Speaking to Indian media just minutes after he crossed the Wagah Border into India, Sarjeet Singh confessed to his offense, saying that he went to Pakistan for spying, Express News reported on Thursday. 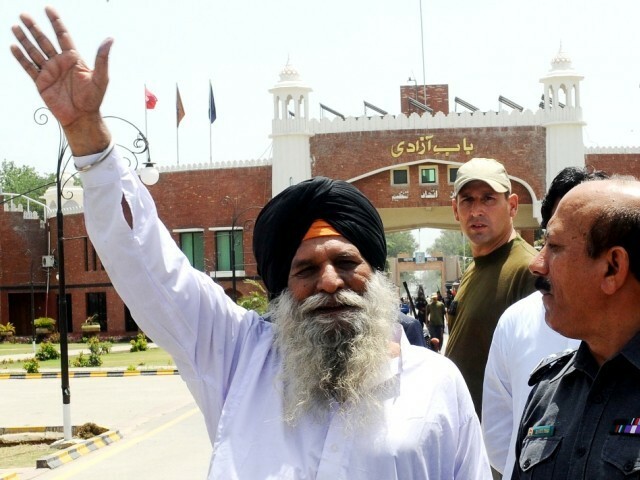 After the Ministry of Law and Justice approved his release on Tuesday, life sentence prisoner Sarjeet Singh crossed the Wagah Border, and after 27 years, stepped on his native soil just a few minutes prior to this confession of being guilty. It may be added that earlier a misunderstanding arose that an Indian terrorist Sarabjeet Singh, accused of planting bombs was being released, which created lot of enthusiasm in India. However, later the mistake was corrected as Sarjeet Singh was being released.